It's Christmas Eve and Santa went skating on the frozen lake near his house for just a few minutes before he has to fly in his sleigh. Jump on the slippery ice to grab presents and candy canes. Don't let them hit you on the head. Double click to jump higher. If you want to play Santa's Gift Jump games online you have come to the right place! 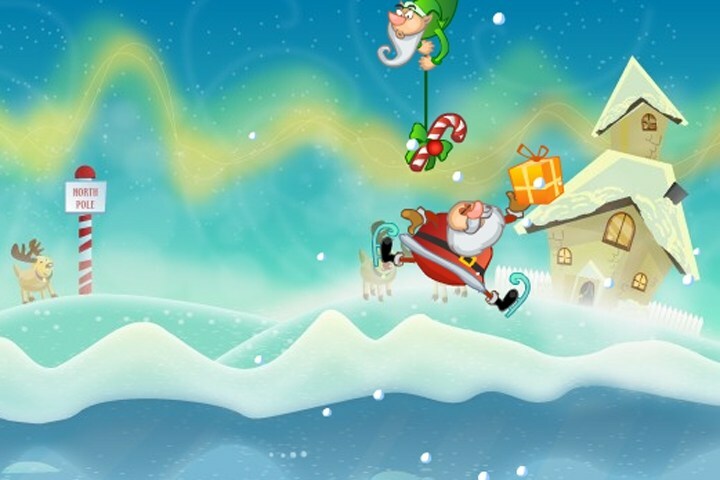 GamesLoon adds new Santa's Gift Jump games every week. This is your game portal where you can find the biggest collection of free Santa's Gift Jump games online. Do not forget to rate our Santa's Gift Jump free online games while playing!